When uploading media from Moodle into theBox via the Moodle Media Collection activity, the files are uploaded to theBox within the Collection/Gallery hierarchy. This is recommended for ease of use over time, but does not suit all use cases. For more information about using Moodle Media Collection please click here. When uploading media from Moodle into theBox via the Moodle File Picker, the files are uploaded to theBox as individual media items. This is recommended when the overhead of complex organisation scheme is not required, such as the upload of a video into a forum post, but this but does not suit all use cases. Note: Any media items that are uploaded in this fashion can later be moved into the appropriate organisational structure within theBox. Log into theBox using your zID and zPass. Click on Create A Collection in the Collections section of your dashboard. 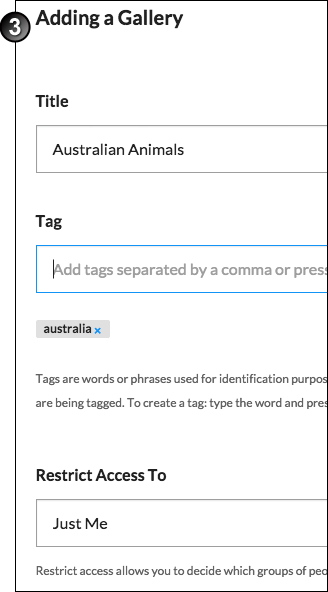 On the Adding a Collection screen complete the Title and Tag (keywords for search purposes) fields. If you wish to share the collection with other staff to use change the Restrict Access To drop down menu from Just Me to All Staff. Click Save. At this point a notification will appear that can be clicked on to take you straight to the specific collection. Alternatively you can access your collections by clicking on the collections link in the Collections section of your dashboard and check that the collection has been created correctly. Click on the collections link in the Collections section of your dashboard. On the list of collections click on the collection you wish to add a gallery. Click the create new resources button and click the gallery button. On the Adding a Gallery screen complete the Title and Tag (keywords for search purposes) fields. If you wish to share the gallery with other staff to use change the Restrict Access To drop down menu from Just Me to All Staff. Click Save. The gallery is created and you can access it by clicking on the title of the gallery. Click on Create A Gallery in the Galleries section of your dashboard. 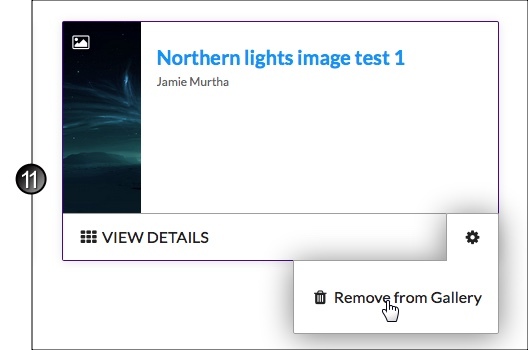 Access your galleries by clicking on the galleries link in the Galleries section of your dashboard and check that the gallery has been created correctly. Just me - only you can search for and view the collection/gallery in theBox. In Moodle only you can search for and link to this collection/gallery via theBox repository/Media Collection. All Staff - you and all staff can search for and view the media item in theBox. In Moodle you and staff can search for and link to this item via theBox repository/Media Collection. Public - you and all staff can search for and view the media item in theBox. In Moodle you, all staff and students can search for and link to this item via theBox repository/Media Collection. By choosing Public a code will be generated that can be embedded on websites to share the video publicly. Note videos that listed Under the Act are restricted from being shared publicly and the public option will not be available. 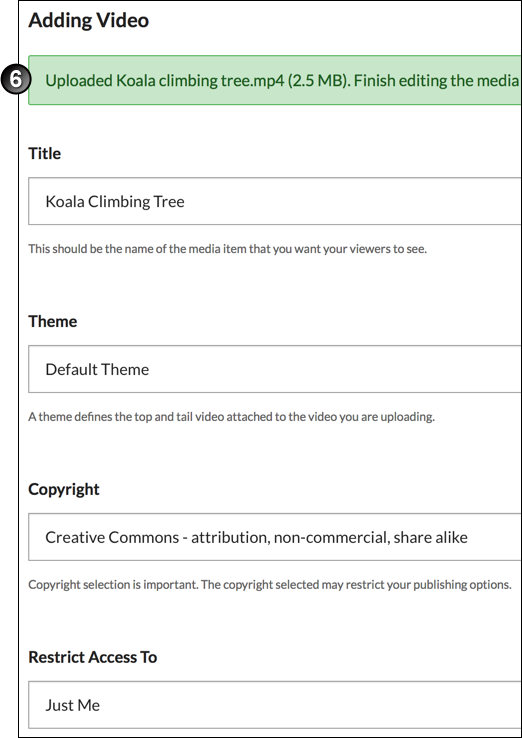 You can upload one or more media items (such as a video) into theBox via the appropriate format menu, with the uploaded media items being stored outside of the Collection/Gallery hierarchy. Alternatively you can upload the media items into theBox via the Gallery menu, resulting in the media items being stored within the Collection/Gallery hierarchy. Note: You cannot upload media directly into a Collection, as collections only store galleries. But you can navigate a collection to find the appropriate gallery within, and then upload media into that gallery. Click on # galleries link in the Galleries section of your dashboard. Select the gallery that you want to add a media file to. Drag and drop an appropriate file onto the Adding [item] screen or click + Select your file to select a file on your computer to upload. 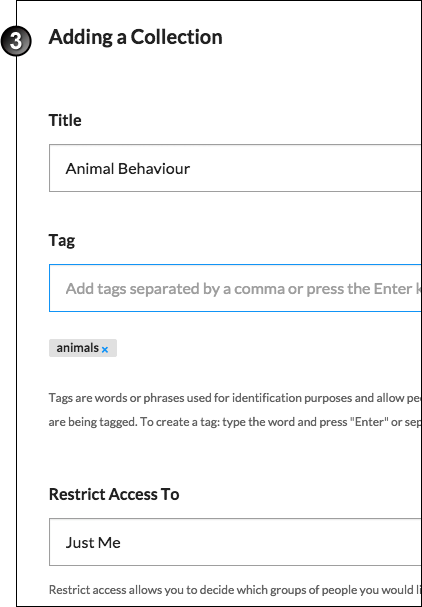 Type your title into the Title field, select the desired settings in Copyright and Restrict Access drop down menus and Save. You can access the item you just uploaded by navigating to the gallery or by clicking the appropriate card on the Dashboard. The default thumbnail that represents a video on the collection page, and before the video plays, can be replaced by a preferred image file. Before you begin, make sure you have an image file ready to upload. Remember that this image will be shown at the small thumbnail size (approx 160x90px) and also as larger placeholder before a video plays in the page. Make sure it is large enough to not be stretched at the larger size but has a clear focus that can be seen at the smaller thumbnail size. Either drag and drop an image file into the upload box or select '+ SELECT YOUR FILE'. Select your image and wait for it to upload. Click 'SAVE' at the end of the page to save the settings for the video. If you want to replace the thumbnail image, click 'UPLOAD IMAGE' and upload a new image. This will replace the previous file. theBox supports closed captions added to a video in the form of an additional SRT or VTT file. Before you begin, make sure you have a closed caption file in the supported format ready to upload. Either drag and drop the file into the upload box or select '+ SELECT YOUR FILE'. Select your file and wait for it to upload. 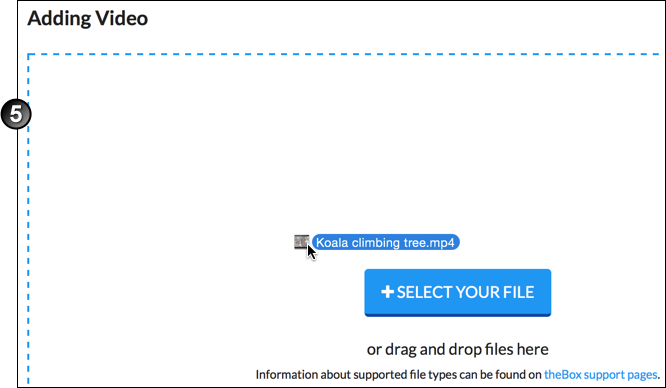 If you want to replace the closed caption file, click 'UPLOAD FILE' and upload a new file. This will replace the previous file. 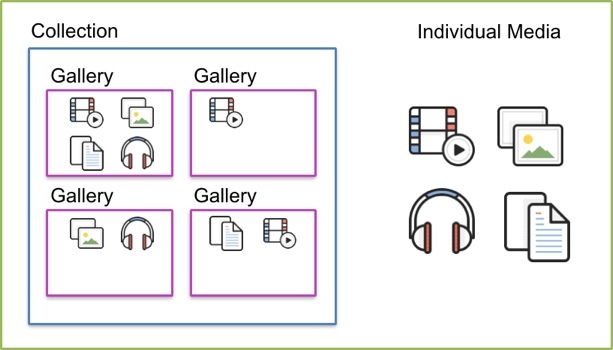 To move media from one collection to another or move a collection from one gallery to another theBox you need to add the item being moved to the desired destination and then delete it from the source destination. Select the destination gallery that you wish to move the target video to. Click on the Library picker button. 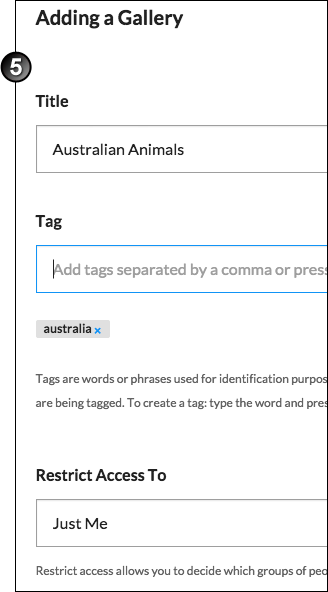 Select the correct media type from the drop down menu then type the name of the target file into the search field and press “enter” on your keyboard. The media file will now be visible in the target gallery. Return to previous screen using the back button of your browser and then select the source gallery that you wish to remove the target video from. Click on the “Edit video” icon and select “Remove from gallery”. Note: Do not delete the video unless you want to permanently remove it from all locations in theBox. Only the owner of the file and their agents can delete files. Click on # collections link in the Collections section of your dashboard. Select the collection that contains the target gallery to. Select “Gallery” from the drop down menu then type the name of the target gallery into the search field and press “enter” on your keyboard. The gallery will now be visible in the target collection. Return to previous screen using the back button of your browser and then select the destination gallery that you wish to move the target video to. Note: Do not delete the video unless you want to permanently remove it from theBox. After you select a file to upload from your computer an appropriate copyright setting must be selected on the next screen. All Rights Reserved - videos that you have created, hold all rights to and do not wish others to share, reuse and remix. Under the Act - videos that you have created, hold all rights to and should not be shared outside the university community. For more information about copyright, please visit the support page or contact your outreach librarian. Meta data is data about a web site, object or file that is primarily used to assist the site, object or file to be found when it is searched for e.g. in Google. Title, copyright and restrictions are all compulsory fields entered during the upload process (link or refer to step 4 of Uploading Media files to theBox). 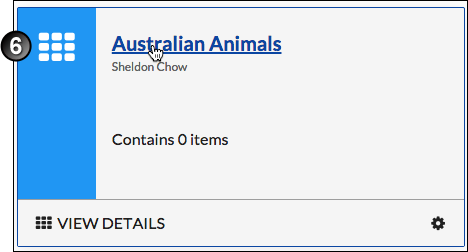 Tags and description are optional (but recommended) metadata items that can be added when you create or edit Galleries and/or Collections (Refer to the How to create a gallery in theBox and the How to create a collection in theBox sections above.